(MENAFN - Asia Times) After the relaxation of the one-child policy and changes in the education system, China's children's literature industry has enjoyed unprecedented success in recent years. The buying power of China's middle class makes the country a key player in any market to which its consumers turn. In a culture that values family and education so highly, it is no wonder that more and more parents with disposable income are choosing to spend it on books for their kids. In 2015, the one-child policy became a two-child policy as the Chinese government gradually began to loosen population restrictions in the face of the realities of an aging society. The new policy is predicted to contribute to 3 million more babies being born each year, greatly increasing China's youth population. More babies need more books. Education reform is also adding to that demand. 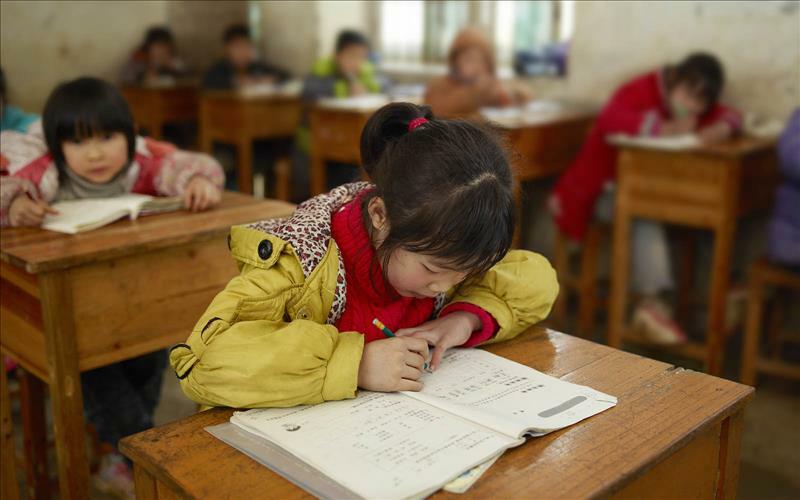 Long known for its emphasis on rote memorization and churning out math whizzes with little creativity or critical thinking skills, China is working on an education overhaul. By 2020, it will implement an education reform that aims to reduce the burden of schoolwork on young children, prepare students practically for real-world jobs, foster innovation and adaptability, and otherwise better meet the needs of a modern society. This means focusing more on language skills, reading comprehension, and analytical and logical thinking, all of which are enhanced by frequent reading. Thus educators and parents are recognizing the importance of encouraging reading ability early and fostering a love of books outside of formal study. Furthermore, Chinese parents are becoming more personally involved in their children's education. They are the ones who choose and buy books for their kids, from baby board books to chapter books, so they are the ones that the publishing industry must market to. China's publishers of children's books have burst on to the international publishing scene as major players. Book Expo America in New York has had a significant Chinese presence since 2015, while Italy's Bologna Book Fair, the premier children's lit event in the book industry, has declared China its guest of honor for 2018. This past decade has become known as the golden age of publishing of children's books in China. In 2003, the country had only 20 publishers specializing in children's books. That number now has jumped to more than 580. Some may consider the market saturated, but what we are seeing now is a switch to emphasizing quality over quantity and a focus on producing more original content. In the year 2000, Harry Potter was translated into Chinese, sparking a major trend in importing translated children's books from the West. In the years that followed, many foreign works became staples of children's bookshelves, whether in translation or used for English practice. Popular titles include Peppa Pig (which my neighbor's five-year-old son in Changzhou absolutely loved), The Magic School Bus picture book, and Disney Baby Story Book. While these continue to outsell local works, there are a good number of Chinese authors of children's books enjoying significant success. These include Shen Shixi, author of Dream of Being a Wolf King and a series of Animal Novels, and Leiou Huanxiang, author of Monster Master and Charlie IX & Dodomo. As the market continues to grow, I expect to see more and more Chinese authors stepping up to create quality content for kids. In January, I wrote about Chinese science fiction making its way to American readers. Perhaps, as the industry booms, Chinese children's books will do the same. I am quite curious to see what kinds of books will cross our borders, uniting kids of different backgrounds with a shared love of reading. Share Tweet Linkedin Email China Opinion Education Literature one child policy publishing Carly O'Connell Carly O'Connell is a young professional in the D.C. metro area who has dedicated over half her life to studying Chinese language and culture. During college, she participated in an intensive language immersion program for a semester in Beijing and upon graduation she spent a year teaching English in Changzhou, China. She's visited over 15 different Chinese cities.